V.C. Summer Units 2 and 3 Aerial View, Jan. 2017. The question of who will pay for the failed V.C. Summer nuclear reactor project is now in the hands of the seven-member S.C. Public Service Commission, the state’s official utility rate setting authority. Last week, the PSC completed three weeks of contentious hearings on how much South Carolina Electric and Gas Co. should be allowed to charge its over 700,000 electric ratepayers for the abandoned reactors. They’ve already paid in over $2 Billion. 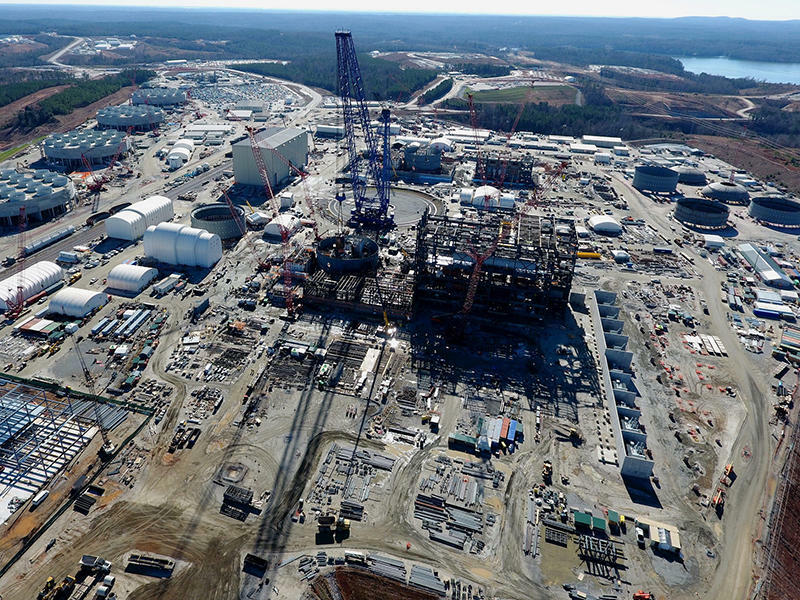 Ever since the $ 9 Billion nuclear reactor project was scrubbed in the summer of 2017, a little known state law has allowed SCE&G to continue to charge for the project. The state legislature repealed that law earlier this year and instructed the PSC to set a new, permanent rate by December 21.